Another complaint on the events in Donbas will be ready by fall. Ukraine has prepared a petition to the European Court of Human Rights against Russia over the prohibition of the Mejlis of Crimean Tatar people in the occupied Crimea. The petition will be filed on within 1-2 weeks, first Deputy Minister of Justice Natalia Sevostyanova told press briefing on 23 June. Sevostyanova also said that Ukraine intends to submit this fall another complaint with the ECHR on the fact of Russia's military actions in Donbas in 2015. 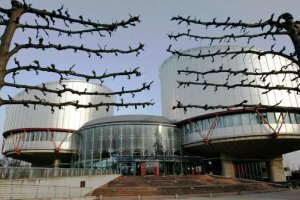 The ECHR are already several lawsuits of Ukraine against Russia. The first two relate to events that took place in 2014 in Crimea and eastern Ukraine. In 2014, they were presented as a single complaint. "We built it on the logic that there was a causal link between the Rusia's "little green men" in Crimea that have moved to the east of the country later on to further strengthen and deepen Russian aggression." The court decided, however, that the claim should be divided into two parts. The third claim was about the abduction of groups of children in the eastern part of Ukraine and their transfer to Russia. Earlier, a lawsuit was filed for the infringement by Russia of the rights of Oleh Sentsov and other Ukrainians to justice. Also, Ukraine has filed a lawsuit in the case of the son of Mustafa Cemil Hayser, but later withdrew after Hayser filed a personal lawsuit against Russia.